Proenza Schouler, a company that designs a high-end line of women’s apparel, was founded in 2002 by Lazaro Hernandez and Jack McCollough. The firm’s name is derived from the designers’ mothers’ maiden names. The clothing they create is tailored, neutral and well detailed; it is inspired by such minimal artists as Donald Judd. 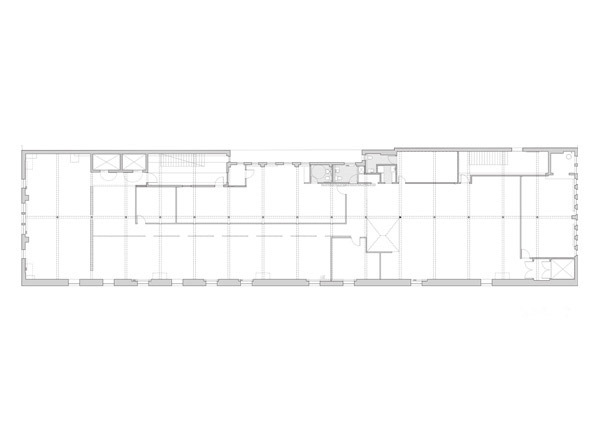 Their new Office + Showroom is located on the top floor of a turn-of-the-century cast-iron building in SoHo. The program includes a showroom, sales area, administrative office area, atelier room for the production of samples, production area for pattern making and detailing, design area for clothing and accessories and the main design studio. Inspired by the Proenza Schouler aesthetic and working within a modest budget, CDR Studio chose to use one material — homosote — as a wall material in order to provide a neutral background for the new space. 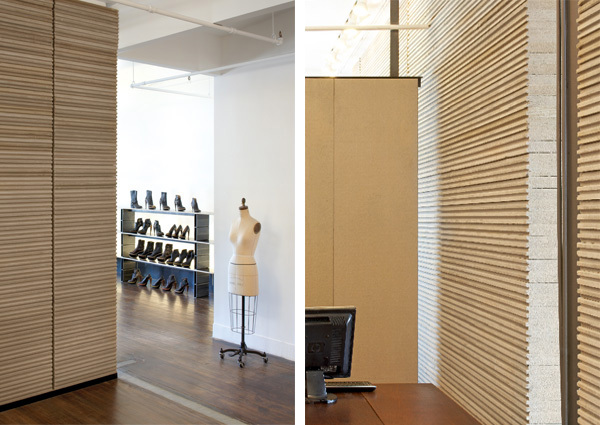 Homosote was used to create walls with minimal "construction;" the material was stacked either horizontally or vertically to create different textural effects. The original vaulted ceiling spaces were cleaned and minimally constructed walls were then inserted. 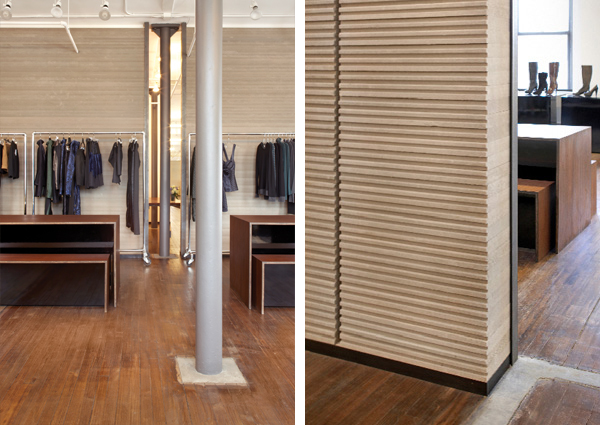 The main showroom walls were made of thick homosote roof decking stacked horizontally to create a dense, simple and textured background for the clothing. Full panels of the material were set vertically as screen elements, providing some privacy to the other areas of the program.